As one of the leading home builders in Calgary, Fine Line Homes has carefully developed a thorough process for the creation and completion of your new custom home. The process begins with the careful selection of your site, and then proceeds through the design, construction and completion phases. If you’ve been thinking about building a custom home, we invite you to familiarize yourself with our unique custom home creation procedure. You may be wondering why site selection takes place before you even begin to design your home. The answer is simple: you need to choose a site that will support your vision for your new home. If you don’t do your due diligence during the site selection process, you may face long-lasting and expensive consequences that could seriously compromise your home’s resale value and detract from your enjoyment of it. Location: do you want to live in the city or on an acreage in the country? As a general rule of thumb, custom home builders in Calgary have a little more design freedom if you opt to live on an acreage, as there are fewer architectural restrictions in rural areas. Fine Line Homes employs a diverse, experienced and highly skilled team of professionals to help clients turn their dreams into a reality. The chief member of the design team is the architect, and we enjoy close working relationships with some of Calgary’s best. You will also be matched with an interior designer who will translate your ideas for the indoor living areas into fully functional, breathtakingly beautiful rooms and spaces. As one of the only eco-friendly home builders in Calgary, we also work with environmental engineers and landscape architects to optimize your custom home’s energy efficiency. In addition to engineering home systems and floor plans to minimize heat gain and maximize electrical productivity, we can also incorporate architectural elements that will support reduced energy consumption, depending on the extent to which you want to prioritize these features. Home Design. The architectural and engineering teams will work with you to bring your ideas for your home’s exterior and interior layout to life. Interior Design. Once the exterior and the floor plan have been finalized, you will proceed to select the finishes and accentuations for the individual rooms. Documentation. An important part of the home construction process includes an itemized documentation of the final design, which must be approved by municipal authorities. 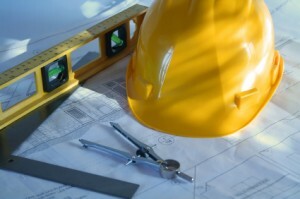 The documentation process also leads to a construction budget. Construction. Once you have signed off on the documentation and all your financing is in place, custom home builders in Calgary will then proceed to build your new home. Completion and Warranty. When custom home builders in Calgary have completed the construction, municipal housing authorities will perform and inspection and issue a residency permit. Your new home warranty will then activate, and you will be ready to move into your new home! As one of the top custom home builders in Calgary, Fine Line Home offers comprehensive informational and support services to clients researching new homes or entering the preliminary phases of new home design. In addition to the aforementioned process, we also provide accurate, no-obligation custom home estimates, and we can also help you secure financing through our network of mortgage lending partners. We understand that you will likely have many questions about the process, and we invite you to download our complete guide to the custom home building process. This guide goes into deep detail about every single aspect of the site selection, home design, construction and completion processes, and contains essential information you need to know if you’re thinking about building a new custom home in the Calgary area. As always, we encourage prospective clients to come to us directly with unanswered questions or concerns. Please feel free to contact us at Fine Line homes by email or phone at any time.